The Rockets have had a chance to catch their breath after playing a heavy schedule to start October that seemed to wind down towards the end of the month. It has given the team time to rest and transition under new head coach, Adam Foote. 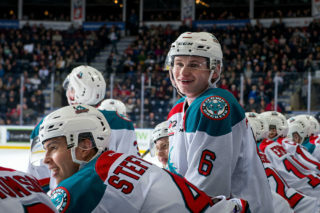 The Rockets faced the Vancouver Giants on the third to open the month of October. Fellow B.C. Division rival, Victoria rolled in on the fifth; after the game, the Rockets then jumped on the bus and headed south to Seattle for a game the next night. Seattle then headed north and played at Prospera on the 10th. 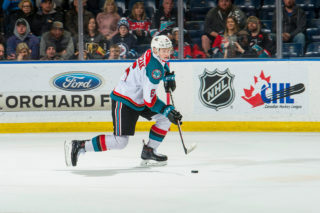 Kelowna played home and home games against Tri-City on the 12th and 13th. 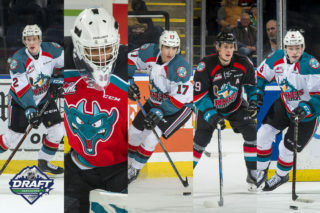 A week later Kelowna headed to the coast for a three-game road trip, where they played back to backs against Victoria on the 19th and 20th wrapping up the trip on the 21st in Vancouver. The games then slowed down considerably; the Rockets only played three games in 12 nights. 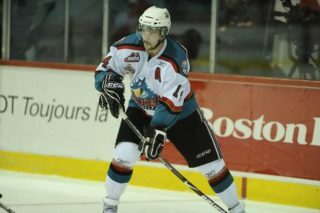 Kelowna hosted the Swift Current Bronco’s on the 23rd, Prince Geroge on the 27th and Brandon this past Saturday. Once again this week, the Rockets are on another break, they’re off until Saturday when they start a six-game road trip in Seattle. 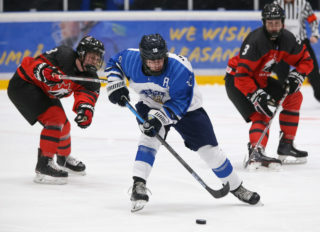 While many teams don’t enjoy such large gaps in between games, head coach Adam Foote says that it has benefited his players. The Rockets depart tomorrow morning for a road trip that will see them play six games in nine nights. They’ll visit the accesso ShoWare Center in Seattle Friday against the Thunderbirds. Kelowna then goes on to play back to back nights in Portland against the Winterhawks on Saturday, November 10th and Sunday, November 11th. Their road trip then heads north to Prince George where they’ll face the Cougars on November 14th. The Rockets will wrap up the trip when play back to back nights in Alberta. They’ll stop in Red Deer November 16th and Edmonton on November 17th. The Rockets are back home again on Wednesday, November 21st when they host the Regina Pats at Prospera Place for Hat Trick Wednesday.